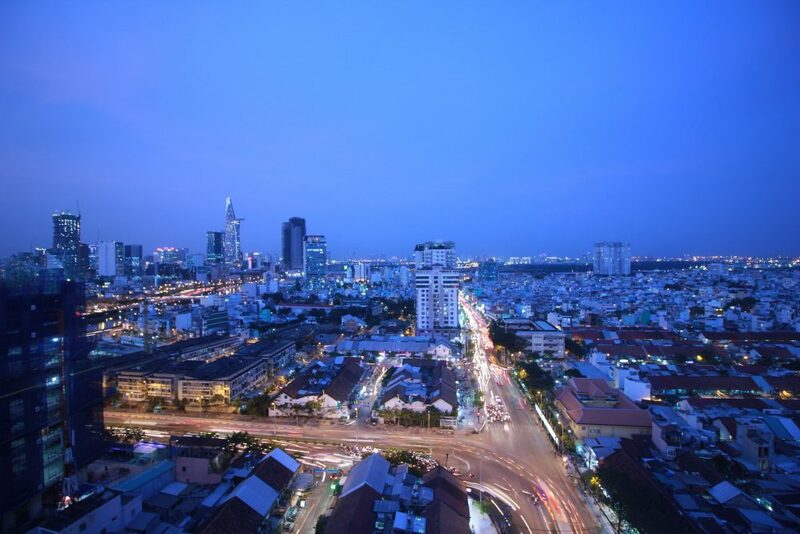 I am often asked which area is the best to book hotels in Ho Chi Minh city by friends and family members from overseas. Staying here for more than 2 years across 4 different districts, I have gained good insights on the best place to stay in Saigon. It is a big city with different districts having different vibes, depending on what you want to see and how long you stay, this guide will outline some of the best options for you. District 2 – the best place to stay if you want to be somewhere relaxing with decent upscale cafes and restaurants. District 7 (Phu My Hung area) – the best place to stay if you want to be somewhere modern with large shopping malls. District 3 – the best place to stay if you don’t mind walking to the city. 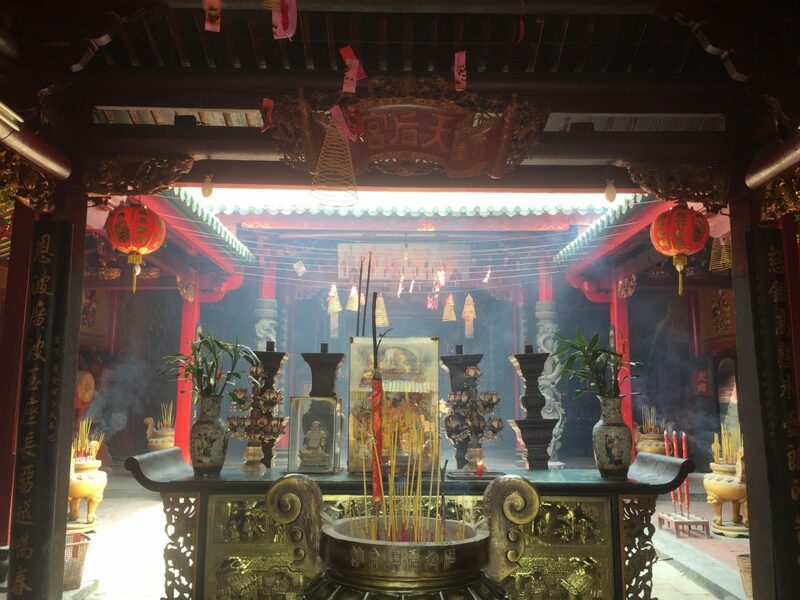 District 5 (China town) – the best place to stay if you are interested in Chinese Buddha temples and the local wholesale market. Budget option: Stay around Bui Vien street where there are many hostels and guesthouses, you can spend less than $10 per night. High-end: popular streets with 5 Stars hotels can be found around Dong Khoi and Nguyen Hue walking street. The price could be anywhere between $100 to $300 per night. Some excellent hotels that I have stayed are: The Reverie Saigon; New World; Caravelle. Shopping & Food: Nguyen Hue walking street, Dong Khoi street (boutique street), Ben Thanh Market, Japanese area (Thai Van Lung street), Tan Dinh market (a large textile market). District 1 is only around 7km squared so you can easily walk around the city centre. All the cities landmarks can be done by foot. The 3 biggest tourist spots (Reunification Palace, Notre-Dame Cathedral and Central post office) are only 2 mins walk from each other. 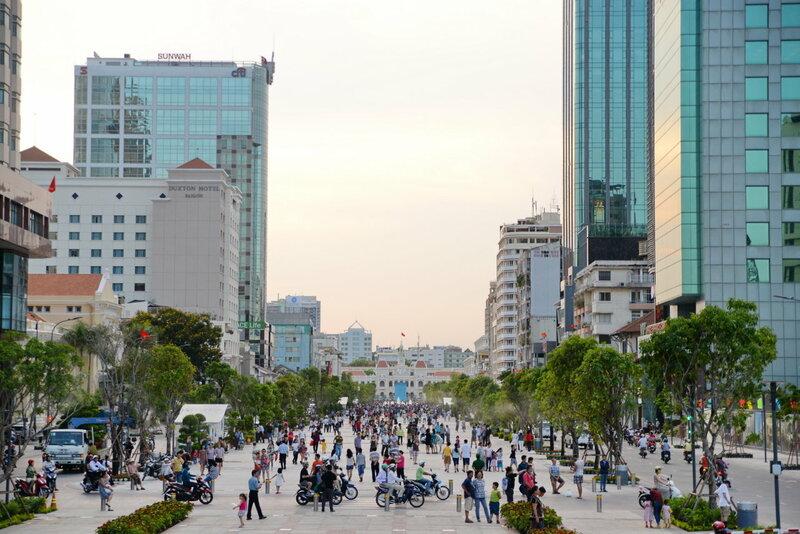 Overall, District 1 is one of the most expensive cities in Vietnam. Prices in District 1 are mixed. If you go for street food, they are relatively cheap. However, if go upscale, it can set you back anywhere between $5 to $10. District 1 is vibrant and bustling. There is the odd pickpocket or phone snatching around the touristic hubs, however, this is one of the safest districts in the city. Police wander around frequently to ensure the safety of tourists. You can walk freely at night too. It’s totally safe. If you are first time travellers and want a to be in an alive atmosphere, District 1 is definitely the one to be. Pros: Convenient, close to all the landmarks. It is known for vibrant nightlife. Cons: Noisy, dangerous when crossing the streets, very touristy. For me, District 1 doesn’t give the entire image of Ho Chi Minh city. It’s far from it, District 1 is clean, organised but commercial. Not many locals live in D1. A lot of travellers and backpackers spend their entire time in District 1 and are mistaken District 1 as Saigon, that’s wrong. Saigon is much bigger and is more diverse than District 1. 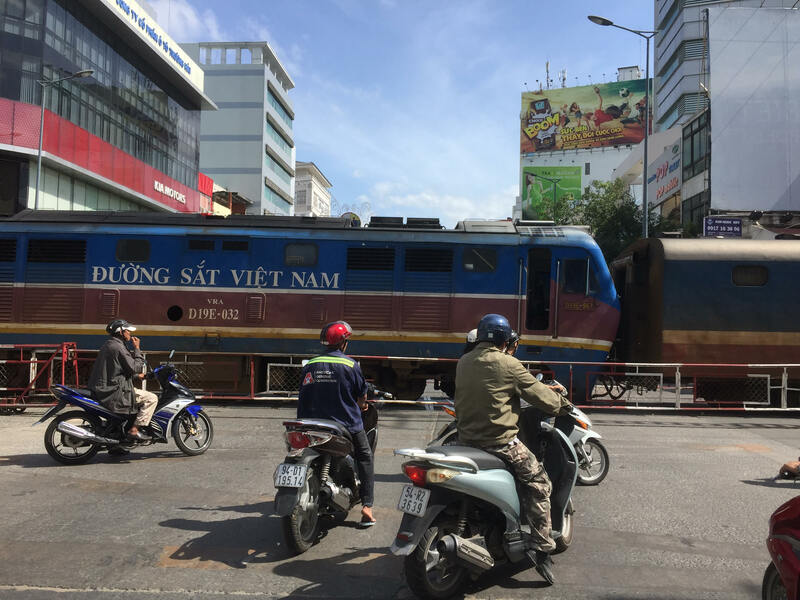 If you have more time to spend and want to see real Saigon, read further. District 2 is a peninsula next to D1. It’s good for those who can spend more time in Ho Chi Minh or are coming back to Saigon and want to stay somewhere different. This is the place where the majority of expats in Saigon reside. 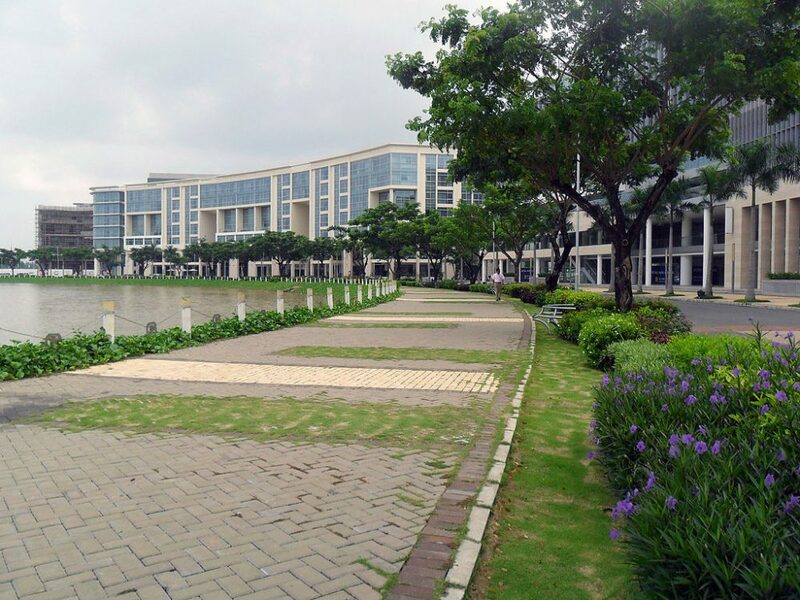 This is an upscale neighbourhood surrounded by Saigon river. It is a good place to get off the beaten path, to relax and still see local life. There is a stark contrast in parts. Rich and poor exist next to each other. There are many upscale restaurants around and plenty opportunities to explore hidden gems. The most unique things to do in Thao Dien is to stay and relax with the view of the riverside. 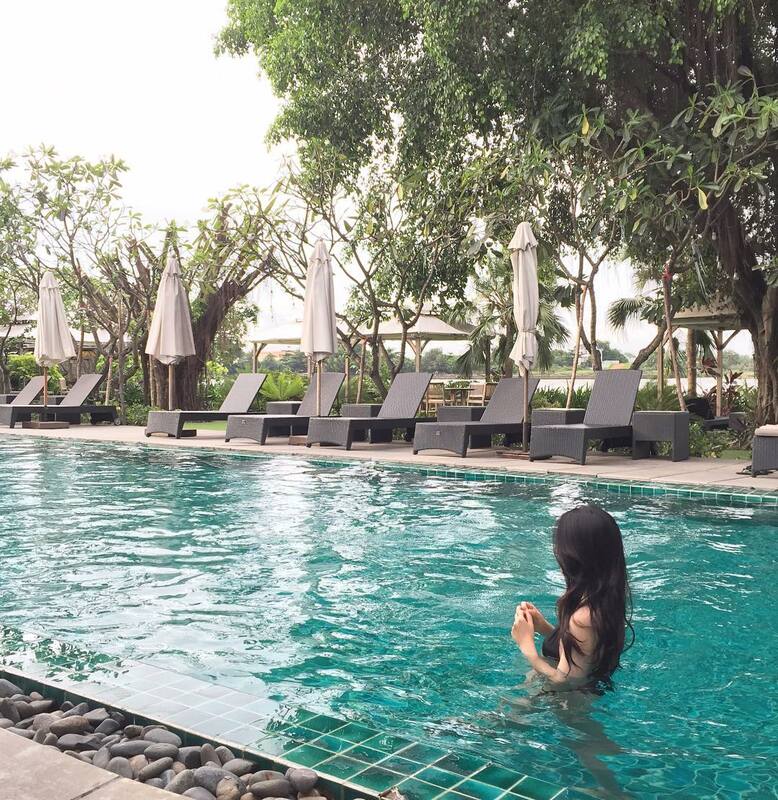 If you can afford it, stay at Villa Song, a luxury boutique hotel right next to the river. Make sure to rent a bike and go around to explore the neighbourhood. It is known for decent upscale restaurants and these are some of my favourite: The Deck (river view), The Boat House (river view restaurant inside private compound), Villa Song, Thao Dien Village (riverside bar and restaurant), Saigon Outkast (hippie bar for teenagers), Snap Cafe, Mad House (coffee inside a villa), Thao Dien coffee, La Villa French Restaurant, The Loop. Overall, prices in District 2 are reasonable. Some upscale restaurants prices are higher as they targeted at expat communities who earn a higher income. If you go for local stalls, they are cheap. However, if go for upscale, it can be anywhere between $7 to $25 per meal. It is far from the city centre, you will have to use taxis to if you want to go to D1. Clean and quite. It’s walking friendly You can walk around or rent a bike to explore. District 2 is generally safe as this is an expat community. However, like elsewhere in Saigon, there are pickpocketing or phone snatching but not frequently. District 2 is a good option for expats, businessmen or for those who want to have a relaxing time in a hustle and bustle Saigon. Pros: Quite and clean. riverside, fresh air. One of the best neighbourhood in Vietnam with closed expat community mixing with local Vietnamese. You can see big mansion houses and typical local Vietnamese houses together. People come to Thao Dien to relax and explore the streets of the peninsula. There are many alleyways with unexpected architecture for you to explore. Cons: Far from the city centre, inconvenient to go out. About 6km from the city centre is District 7 with Phu My Hung (the Korean town) in the centre. It has big roads, big shopping centres and is full of Koreans. New modern area but for me, it lacks characteristics. It’s clean, organised with great infrastructure. If you are in the middle of it, you wouldn’t know you are in Vietnam. District 7 is a great place for Koran BBQ and shopping. In my opinion, this area suits for expats or those want to live in Saigon at least long term. There are many serviced apartments in the heart of Korean town. Shopping at Crescent Mall, one of the biggest malls in Ho Chi Minh City. Wander around Crescent Lake and have a coffee in the surrounding area. Not too expensive. It can be anywhere between $7 to $10 for a meal at one the restaurant chains. District 7 is about 6km from the city centre. Clean and quite. However, try to avoid using motorbikes as there are many trucks around. Also, there is a bottleneck at the bridge connecting D7 with D1 which causes traffic jams during peak hours. In the heart of Phu My Hung area, it’s walking friendly, you can walk around or rent a bike to explore. District 7 is very safe as the majority of the land is managed by a private developer. Security booths are present at every corner of the main streets. District 7 is a good option for expats or who want to stay in a modern area and have a love affair with shopping. Cons: Lack of soul as you can’t see Vietnamese neighbourhood, far from the city centre, traffic jams during peak hours. District 3 is right next to District 1 but it’s not as expensive as District 1. There are many local shops that give you more affordable options to choose from than District 1. 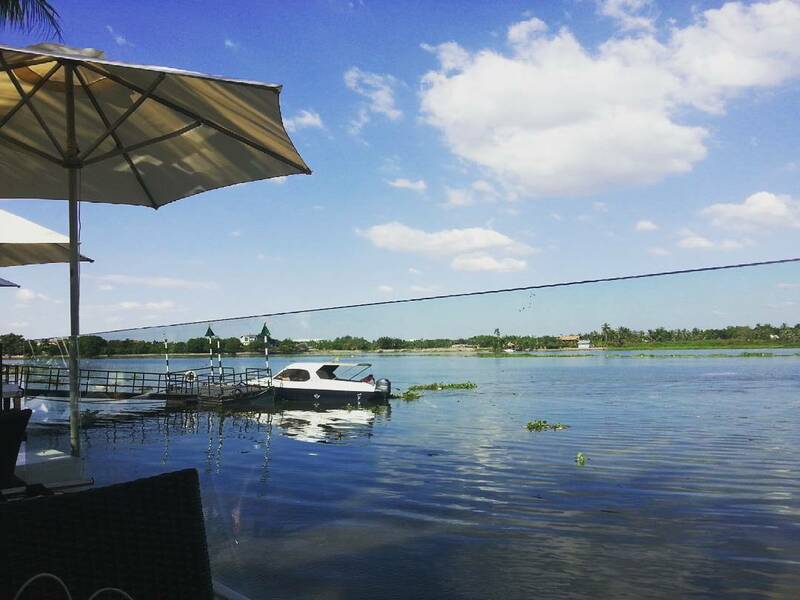 One of the highlights is Le Thi Rieng park and the area around the Turtle Lake. Price range is a bit more affordable than it is in District 1, depending on where you go. 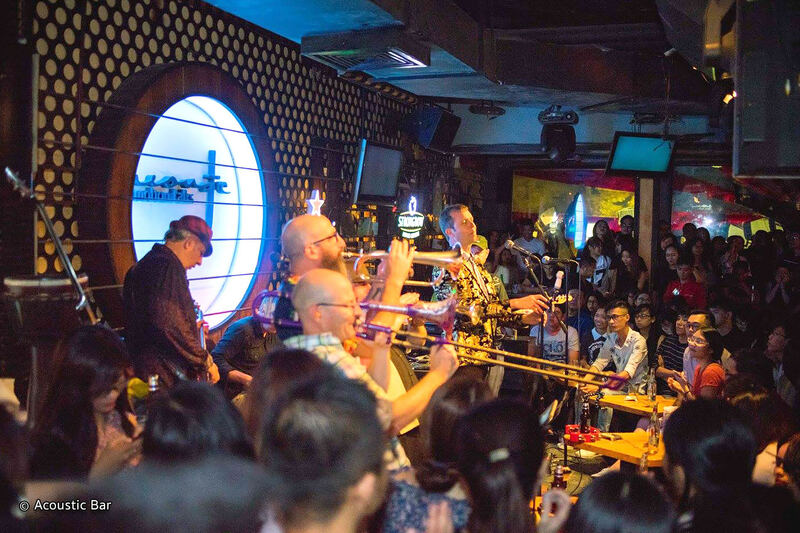 Some local favourite restaurants and bars: Khoi Thom (Mexican restaurant), Acoustic bar (cosy live music bar), Soi Da Cafe (local cafe with live classical music), War Remnants Museum. Cons: Have to walk or take a cab to the city centre. District 5 is bordering District 1. This is a bustling area with China Town, where there are many wholesale markets such as textiles and tobacco. These are the area where many Vietnamese Chinese reside so it is not a surprise that there are many Chinese restaurants and buddha temples in this area. The price here is very affordable and catered to local people. Pros: Not too far from district 1. Great place to see temples and visit the wholesale market to buy cheap local products. Tan Binh and Phu Nhuan Districts are located next to the airport. These are typical Vietnamese area with nothing much to do except wandering around and observing local life. As these are a more working class residential area, the advantage of staying here is the cheap food. However, safety can be a concern as crime rates at these outskirt areas are higher than city centres. Prices are much more affordable here compared to the central districts. It is also close to the airport so you won’t be worried about missing your flights. Pros: Close to the airport, can see real local life, cheap. Cons: Overcrowded, far from the city centre, not much going on except local foods.